High-Strength Suspension Clamp can bear the stress of line. According to the relative position between the center of gyration axle and the axis of conductor, Suspension Clamp can be divided into trunnion type Suspension Clamp, hang-down type Suspension Clamp and carried-up type Suspension Clamp. Based on the requirement for grip strength of Suspension Clamp to conductor, The Suspension Clamp can be divided into three types: Fixed type Suspension Clamp, slip type Suspension Clamp and limited grip strength type Suspension Clamp. Generally, malleable cast iron, steel and aluminum alloy are used as it's materials. 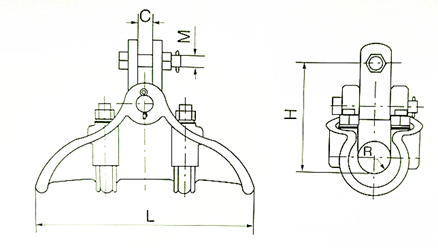 Looking for ideal Hang-Down Type Suspension Clamps Manufacturer & supplier ? We have a wide selection at great prices to help you get creative. 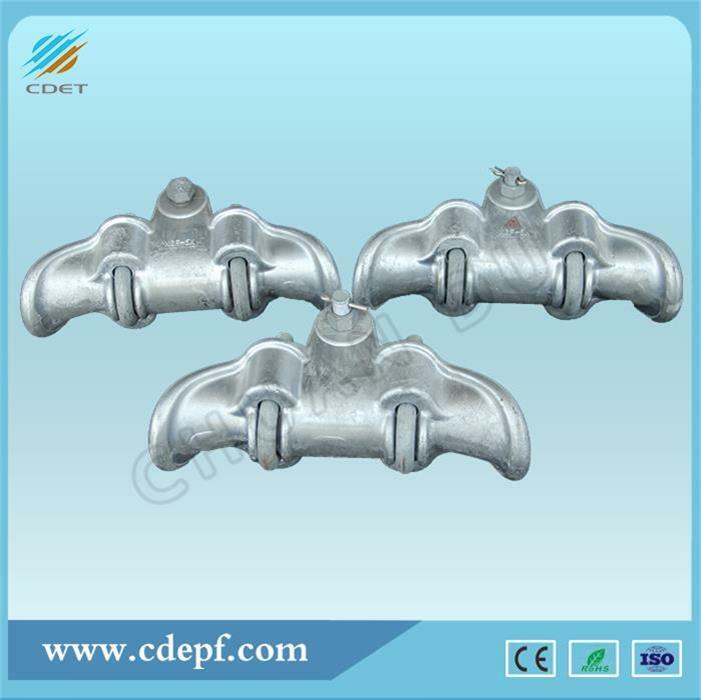 All the Hang-Down Type Cable Suspension Clamp are quality guaranteed. 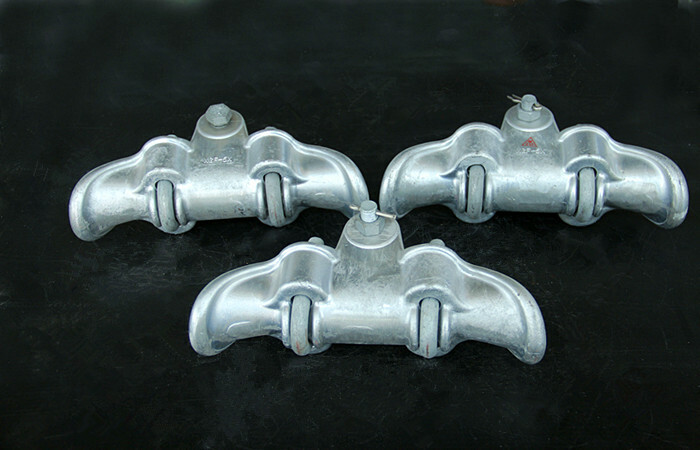 We are China Origin Factory of Hang-Down Type Suspension Clamp. If you have any question, please feel free to contact us.